Following the success of her debut EP, Caught Up, released last year, 23-year-old British singer/songwriter Sarah Close returns today with her highly anticipated new single called "You Say", a song about an ex-partner trying to get back into your life knowing that youre happy and have finally moved on from the failed relationship. Co-written with Finn Keane and Jerker Hansson and produced by Easyfun, "You Say" is a riveting electro-pop anthem which showcases Sarah's stunning vocal that resonates through her relatable and catchy lyrics. 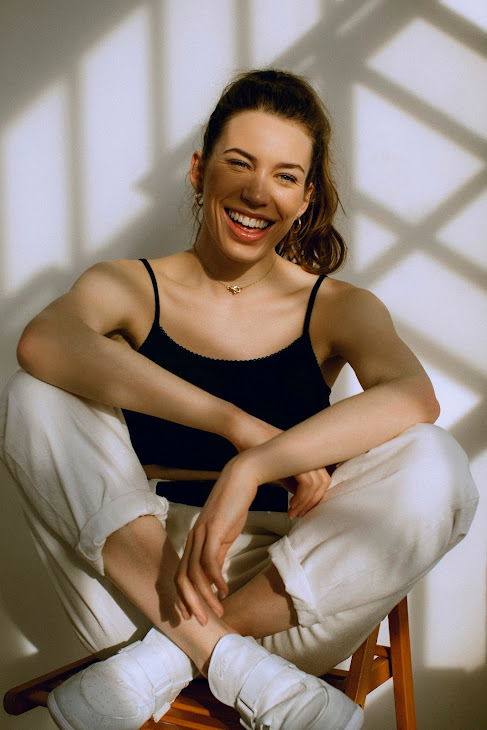 "I wrote this song about someone I met when I first moved to London and drew on my influences from artists such as Haim, Charli XCX and Carole King, with the aim to create a powerful upbeat fun song to celebrate being over someone. I worked very closely with my friend EasyFun who produced the track and gave it the energy I always imagined." Watch the lyric video for "You Say" below. "You Say" is out now via Sarah's own label The Kodiak Club/AWAL and available on iTunes.